In most environments, we need to watch video Converters on different types of devices. But we face compatibility issues that often arise when you try to connect different video devices. That’s because not all video systems use the same type of video interface. 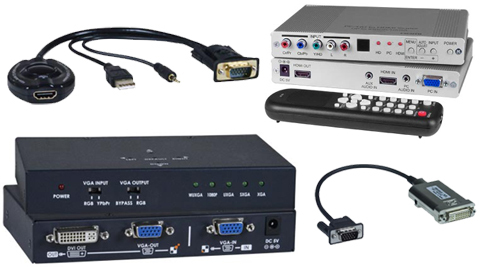 Video converters are used to convert many types of modern and older interfaces such as , DVI to RGB, VGA / DVI-I to DVI-D, VGA to HDMI, DVI to HDMI, Display port or Mini Display port to HDMI or even RGB to DVI / VGA. These converters allow you to connect almost any device you have available.